The New Episode of “The Lightroom Show” is Here! Home » Featured » The New Episode of “The Lightroom Show” is Here! After last Friday’s late release (ahem), we thought we’d better this one up early! Traditionally when we launch a show like this, we do a 13-week season (and today’s is episode #12 of those 13). At the end of a seasonÂ we generally take four weeks off, and evaluate how the season went, whether we feel there’s enough audience and need to continue the show, and stuff like that and we’ll be probably be doing that at the end of this season as well (our weekly talk show “The Grid” is the only show we do continuously without official seasons because, as you can tell if you’ve ever seen the show, it doesn’t take as much preparation as a show like “The Lightroom Show” does. Plus, since it airs live, it take very little post production at all). Hope you all have a great weekend, and we’ll see you back here on Monday! P.S. Our featured photographer this episode is Florent Criquet (here’s the link to his work on 500px). Can raw files be loaded into lightroom mobile? I watched a previous episode where you recommended using sRGB for exporting to the web. Do you recommend using sRGB for printing as well. You may have touched on this and if so, I missed it. Thank you. And thank you for this show. I’ve been to a few of the PS Vegas Conventions & Colorado Seminars. I love that you alll are so down to earth and funny. Compared to the Telecom conventions I’ve attended, yours are quite refreshing. In the last episode you mentioned that KelbyOne members get the PhotoShop magazine in the mail. I have been a member for a year and a half and never got the magazine. How can I fix that? I really enjoyed the digital Lightroom magazine and would like to get the print copy. I have a situation I’d like to find a solution to. I’ve been shooting Texas Wildflowers for several weeks. I put them into folders on my external drive by date (2015-04(Apr)-22 example). I want to set up a Collection Set call “Texas Wildflowers” and put all the picks from each date into a sub collection by color of flower (blue, white, red etc), but I’m sure exactly how to do that. Once I do that and get my picks for each color, I’d like to make a photo book. Any ideas how to do this would be greatly appreciated. Wow, thanks!!! That’s exactly what I wanted to do. The New collection and include selected photos is what I was missing!!! I’m off to make my book!!! I love these tips… I do hope you continue with the show! Would it be possible to add a summary of what’s in each episode. I do watch them all anyway but it’s a pain to re-find an episode when you want a reminder of a technique. I second this, a subject:time summary would truly help. What good is this if you shoot raw? LR Mobile doesn’t read raw files in the Camera Roll, and if you shoot raw + jpg and import the jpgs into Lightroom Mobile from the Camera Roll, how will the settings possibly sync to the raw files once they are imported into Lightroom? I would really like to know the answer to this. My previous comment is relating to tethered shooting. Can you please do an episode how to best CMYK proof for blurb books and convert to CMYK profile through Photoshop droplet in Lightroom and what best color spaces and formats to use. Thank you always for your wonderful gift at teaching others and your always happy you. I was a happy Aperture user and loved that I had a place to park and organize my photos. Now I am trying Lightroom. Everyone says that it’s important to get started “right”. 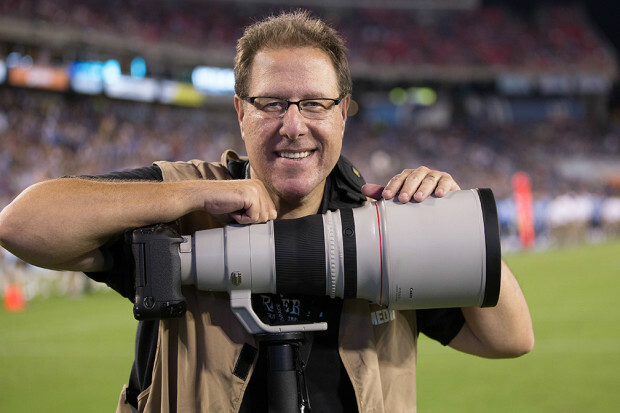 Here’s my question: I shoot a lot of high school sports. Because of the volume of photos and the amount of detail required, I was considering dedicating one external hard drive to sports. Then, using a separate external HD for personal/portraits/nature…basically everything else I shoot. Is that a problem for Lightroom? Does this seem like a good solution? When using the gradient filter can you move the pin (center of gradient) without moving the entire area of gradient. Why the red-eye tool is still so primitive after this many versions. I know how to prevent red-eye, but lots of other people don’t, and I’m often using LR to fix up photos from family and others. The current tool is a) poor at recognizing eyes (especially if smallish), b) poor at recoloring them (unnaturally dark blue), and c) poor at staying within the bounds of the eye (there’s often this mega-pupil effect that goes well beyond the eyeball). So any idea why red-eye hasn’t seen the improvements that other tools have, or how to fix them better manually? Hi Colin. Sorry I’m not going to be much help with this one. I haven’t fixed a red-eye out (outside of having to do it for the update of my book), in years. In fact, I have to ask friends to dig up a red-eye photo for me to use. Because red-eye problems are a very consumer-photo problem, I doubt Adobe has honestly given it a second thought since they introduced it. In all my years of teaching Lightroom with my tours, I can’t remember a single person ever asking about it, or complaining about it, so I wouldn’t hold your breath for any updates/fixes/improvements to how it work…probably ever. Sorry to be the bearer of bad news. You can also increase/decrease the thumbnail cell size on the Library Grid view by CTRL-scroller-wheel on your mouse, in addition to the +/- RC showed. (Without CTRL, it scrolls the window slider up and down). Very handy. Just a very quick Lightroom HDR question. I have been hearing that the HDR Image from Lightroom CC/6 is 32 bit but others are saying it is only 16 bit. Which is it? Hi Bill: Technically they are 16-bit images in the end. Hope that helps. 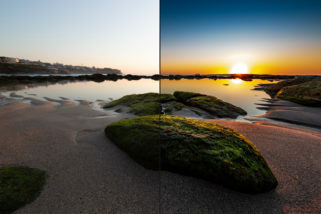 It’s kind of half the discussion, because the 32 bit files in discussion are INTEGER values (meaning 2 billion values max), where the 16 bit files this HDR feature (but not the panorama) are FLOATING POINT and can contain much higher value ranges in application, depending on how they’re implemented to represent image values. Internally they’re probably expanding those FLOATS out to 32bit integer or floating point values for calculation. (This isn’t all that rare a technique btw.) Floating point is to computers what scientific notation is to arithmetic; you can express much larger values in fewer digits (and bits in this case). Saves on file sizes, maybe some tradeoffs in gradations in some extreme situations. Thanks for another great show. I run Lightroom CC on my laptop and keep my image files on an external drive. Do you recommend saving my Lightroom backups on my laptop or with my picture files on the external drive? I would keep them on the external drive. Otherwise, if you have original and backup in the same location, and your laptop dies, you’ve lost the backup, too. Ack!